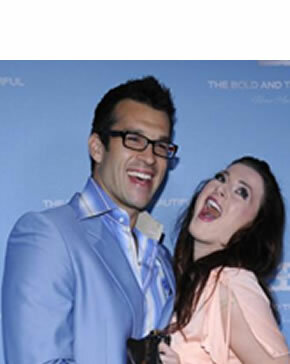 Brendon Villegas and Rachel Reilly from Big Brother 12, Big Broher 13 and The Amazing Race 20 attended “The Bold and the Beautiful” 25th Silver Anniversary Party in Los Angeles, March 10, 2012. Both Brendon and Rachel have been on the day time soap many times. Rachel was on last month for her recurring roll as a cafe waitresses. There is definitely a Rachel and Brendon overload when it comes to past Big Brother Cast members. What do all you think is this too much Brenchel?